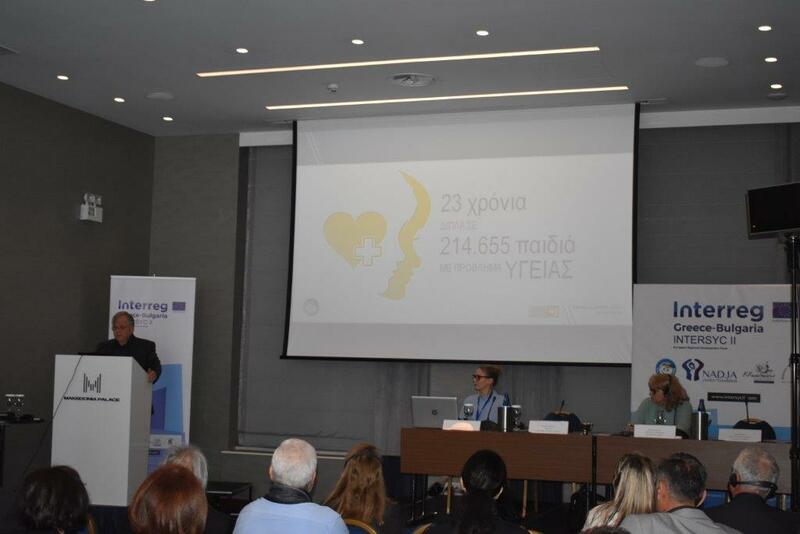 «The Smile of the Child» presented the launch the project entitled «Integrated Territorial Synergies for Children Health and Protection ΙΙ» with the acronym «INTERSYC II», at an event held on Wednesday, February 20, 2019 in Thessaloniki, in the presence of representatives of the local authorities of the city, as well as of the partners of the project. INTERSYC II is the continuation of the previous INTERSYC project, is funded by the European Territorial Cooperation Programme "Greece - Bulgaria 2014-2020", 85% by ERDF and 15% by National Funds. Its implementation has begun since 5 September 2017 and will end on 4 September 2019. The main idea of the Project is based on ascertaining the community of the problems faced by the vulnerable group of children on both sides and the capitalization of the project INTERSYC that was implemented with great success during the previous programming period 2007-2013. The Project partners are «The Smile of the Child » (Lead Partner), the Municipal Development Agency of Komotini Municipality, the Foundation «Centre Nadja» - Sandanski Branch and the Regional Department of Education – Blagoevgrad. Find the whole press release in English here. Find the whole press release in Greek here.